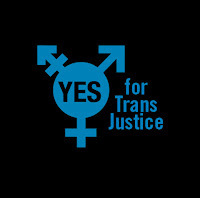 Everything Transgender in NYC asks advocates & activists for transgender justice in the greater New York City area to rally at 1 Police Plaza for Pearl Love on Tuesday July 6th at 5:30P. On April 28th of this year transgender New Yorker Pearl Love was verbally abused & physically harassed on the subway by 27 year-old Sarah Eldridge. The obvious transphobic incident was captured on film by Ms. Love. Her attacker is due to appear in court next Tuesday July 6th. Eldridge was charged with two misdemeanors (1 count, arrest charge, arraignment charge, aggravated harassment 2 race/religion & 1 count, not an arrest charge, arraignment charge, attempted assault cause injury/hate crime.) It is expected that Eldridge will be ordered to undergo anger management for a total of 4 hours. ETNYC believes it must be known that the consequences of attacking & harassing a transgender person in New York City is a serious offense & tolerance of such acts are unacceptable. They feel that the District Attorney has not taken this case seriously enough so they are gathering to demand rightful justice. ETNYC believes that Sarah Eldridge be given the highest penalty possible for a misdemeanor which is 364 days in prison. They demand that the District Attorney take all cases classified as a hate crime toward transgender people extremely seriously & seek the highest possible penalty & demand that Sarah Eldridge apologize directly to Pearl Love & attend diversity training focused specially on transgender rights. 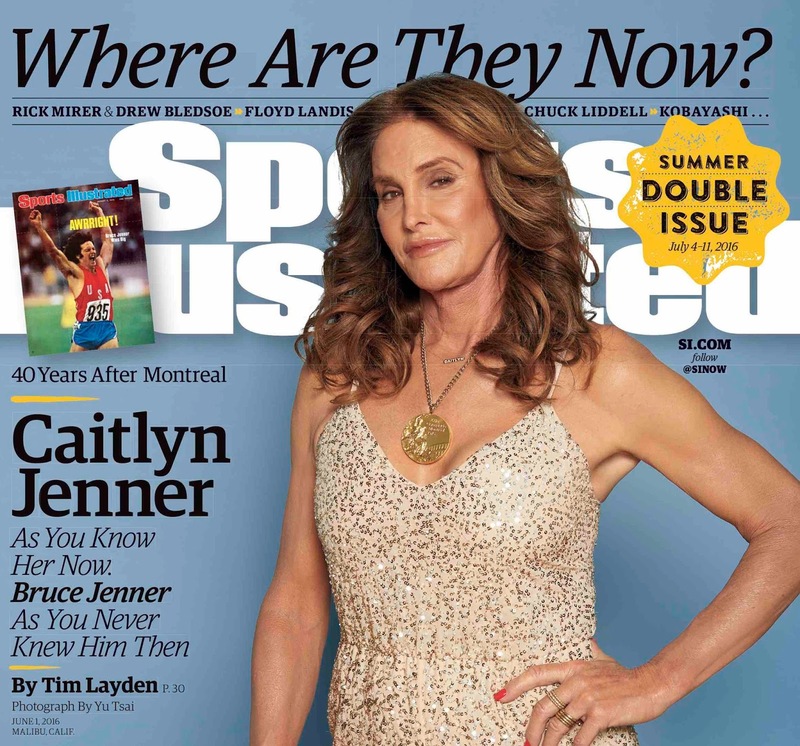 Caitlyn Jenner graces Sports Illustrated cover with a 40th anniversary retrospective of Jenner’s 1976 Gold Medal-winning decathlon performance at the Montreal Olympic Games in a story entitled "Jenner: 40 Years After Gold" by the publication’s Senior Writer Tim Layden. She spoke openly about the legacy of winning the gold & its impact on her journey as a transgender woman in the public eye. Caitlyn stated, "I loved Bruce… I still love him today. I like what he did & the way he set an example for hard work & dedication. I’m proud of that part of my life. But this woman was living inside me, all my life & it reached the point where I had to let her live & put Bruce inside. And I am happier, these last 12 months, than I’ve ever been in my life.” On Trans issues & the connection to sports she added "When you see what’s happening in this country on the bathroom controversy, politicians just don’t understand or get it at all. When it comes to this subject, the Olympic movement is far ahead of the rest of the world. Good for them." 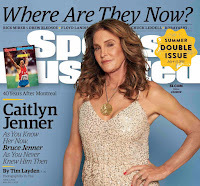 Jenner is featured on the national cover of this week's special "Where are They Now" double issue of Sports Illustrated, hitting newsstands on Wednesday, June 29th. The SI cover was shot by photographer Yu Tsai at Jenner's home in Malibu. The Boston Gay Men’s Chorus (BGMC) announced it’s the recipient of the Massachusetts Nonprofit Network’s (MNN) 2016 Excellence Award in Communications for its communications work on last year’s groundbreaking Middle East Tour which showcased the organization as an agent of social change & demonstrated that music performed by an openly gay male choral group can move audiences to a deeper understanding of our LGBT community. The award recognizes a nonprofit that effectively deploys strategic messaging to carry out its mission. Reuben Reynolds III, BGMC’s music director stated, “We are absolutely over the moon to receive this award from the Massachusetts Nonprofit Network, which does so much to promote the Commonwealth’s nonprofit sector. When we embarked on our tour of the Middle East we were confident our music would build bridges & break down barriers in the communities we visited. 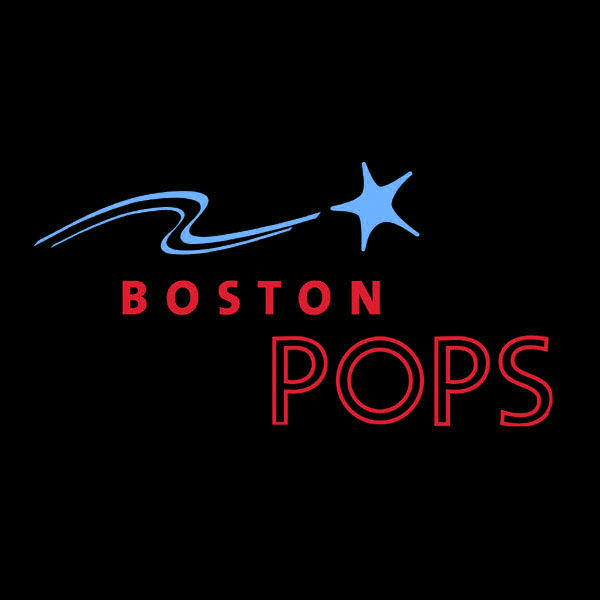 But our communications for the Tour amplified our voices far beyond the concert venues. 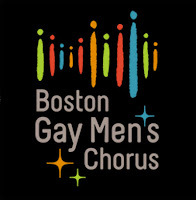 It enabled our fans & other arts enthusiasts at home to see our impact in real time & allowed BGMC to reach a global audience with our message that even in this complicated world, BGMC’s musical experiences inspire change, build community & celebrate difference.” BGMC made history in June 2015 when it became the first gay chorus to tour the Middle East, performing concerts in Israel & Turkey. This is the first anniversary of marriage equality becoming the law of the land in America. A number of major cities are celebrating LGBTQ Pride this weekend. This year to celebrate Pride Month President Obama designated Stonewall National Monument in Greenwich Village, NYC at the location where our LGBT community led the Stonewall Uprising in 1969. This new National Monument represents a significant step by President Obama & the National Park Service to recognize & commemorate LGBT history. Glennda Testone Executive Director The Center in NYC stated, "From this day forward, those days & nights when we fought back to say we would not be silent, would not be invisible & would fight fiercely to protect our safe spaces will be forever marked in American & global history. We thank President Obama for standing with us as a staunch ally & ensuring our place in the history books. 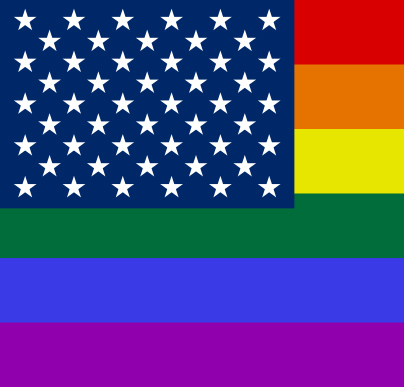 After thousands of years of invisibility, LGBT contributions & culture will no longer be marginalized & our significance will be forever be a part of the story of The United States of America. In the wake of the recent, horrific act of hate perpetrated against our community in Orlando, this designation is particularly significant. Our safe spaces are more sacred now than ever & they must be protected with all of our might. We must transcend hate with love. By designating a home for LGBT history, we ensure that none of the lives lost in the fight for LGBT rights are forgotten. The Stonewall National Monument acknowledges that because of the uprising that took place here, this area has become an icon for the LGBT community in New York City, across the nation and around the world. When people come to Stonewall National Monument, we hope they'll know that it was also the place where thousands of people gathered after the Orlando shooting to try and make some sense of a world where something so heartbreaking could happen. 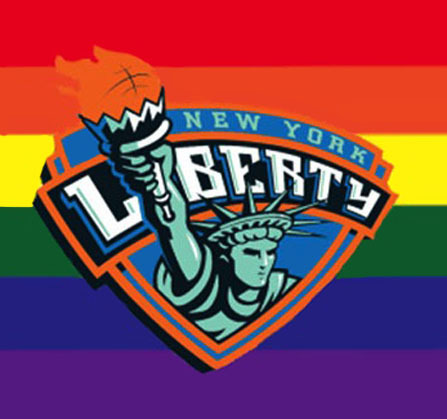 It is, and always will be, the place where our community members go to find each other in times of celebration, tragedy & to advance the fight for full LGBT equality." HAPPY PRIDE EVERYONE!! As of July 1st the Pentagon announced the repeal of its ban on transgender service members. Top personnel officials plan to meet as early as Monday to finalize the details of the plan & Deputy Defense Secretary Bob Work could sign off on it by Wednesday. Final approval would come from Defense Secretary Ash Carter & the announcement will be on the eve of the Fourth of July weekend. This plan would direct each branch of the armed services over a one-year period to implement new policies affecting recruiting, housing & uniforms for transgender troops. Victoria Rodríguez-Roldán, J.D., Director, Trans/Gender Non-Conforming Justice Project, National LGBTQ Task Force stated, “This final remnant of Don’t Ask, Don’t Tell will now be put to rest. 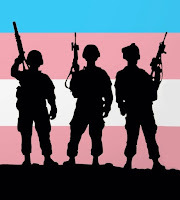 This decision is a great victory for the many trans people who have served & sacrificed in the military over the years. They also served in fear of being discharged from the service for simply being who they are. Thankfully this now will change. 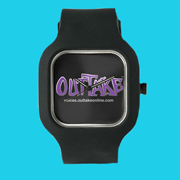 We look forward to hearing more implementation details.” Kristin Beck (Ret. Navy SEAL) & Shane Ortega (Ret. 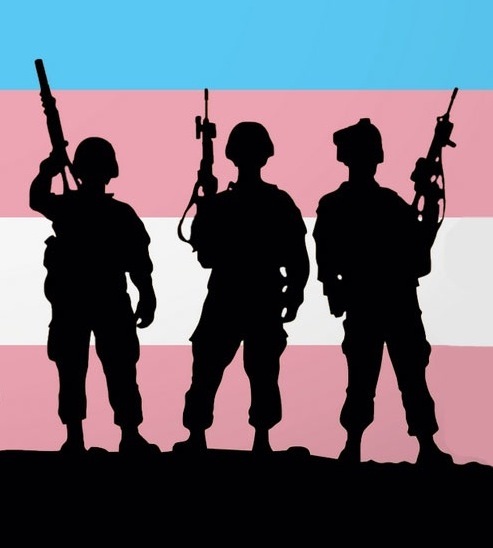 SSG) | National Transgender Military Liaisons, Military Freedom Coalition concluded, "We are elated at the news of the pending repeal of the transgender military ban & are thankful to everyone who worked so hard to see this day come to pass. We look forward to working with our military brothers & sisters to see successful implementation. 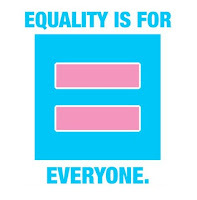 We march forward into an age of greater equality." 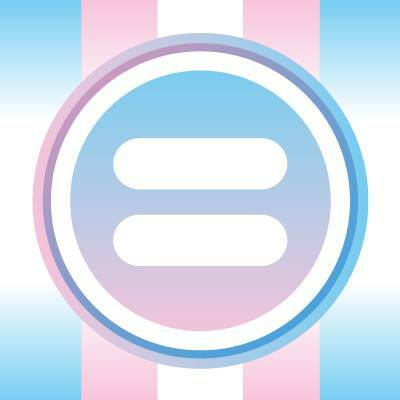 Equality Florida's fundraising efforts for the victims' families & survivors of the Pulse Nightclub Shooting have raised over 6 million dollars. The vast majority was from a GoFundMe campaign that has drawn more than 114,000 contributors from across the world & all facets of society as well as pledges from corporate sponsors & grassroots fundraising efforts locally & globally. In working with their partners at the National Center for Victims of Crime (NCVC) they are expediting the process of fund disbursement to ensure there is no gap in the safety net for these families. They expect funds to be dispersed as quickly as eight weeks via the NCVC's National Compassion Fund. It is imperative that all victims' families & survivors call NCVC's Victim Hotline or visit VictimConnect.org so that victims’ families & survivors have access to these critical financial resources. The NCVC will work with partners to quickly verify their identity, identify their expenses & process disbursements. Undocumented victims’ families & survivors qualify for these financial resources & as victims of crime, are protected. In a world where marriage equality only recently became a possibility & domestic partnership is not widely available, it is Equality Florida's top priority to ensure they address the unique needs of the LGBTQ & Latino/a communities impacted from the Pulse Nightclub Shooting. The U.S. Supreme Court handed down two decisions on separate court cases that will affect millions of LGBTQ people especially undocumented immigrants & people of color. Russell Roybal, Deputy Executive Director, National LGBTQ Task Force Action Fund stated, “The decisions by the Supreme Court are bitter sweet. On the one hand, the court upheld aspects of affirmative action in higher education so vital in reducing inequality & delivering equity. Unfortunately, the court reached a deadlock in the case of United States v. Texas, thereby keeping intact a lower court’s decision striking down the President’s executive action providing relief to millions of undocumented immigrants. 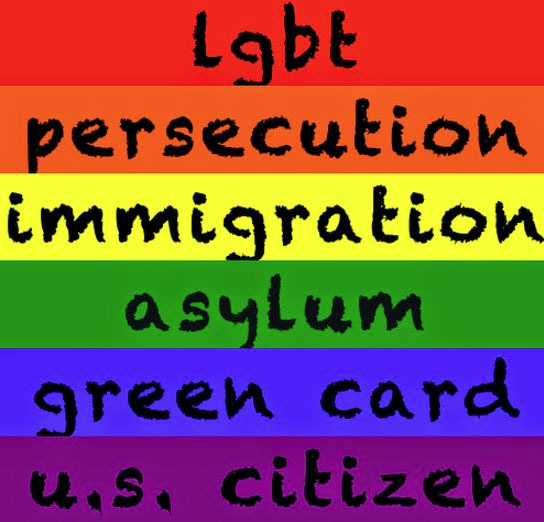 Within the LGBTQ community, there are over 260 thousand undocumented immigrants living in the US that still lack a pathway to citizenship & a fighting chance at accessing the promise of America. 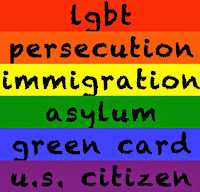 Congress must act now to stop the needless deportations of LGBTQ people & their families by passing comprehensive immigration reform." 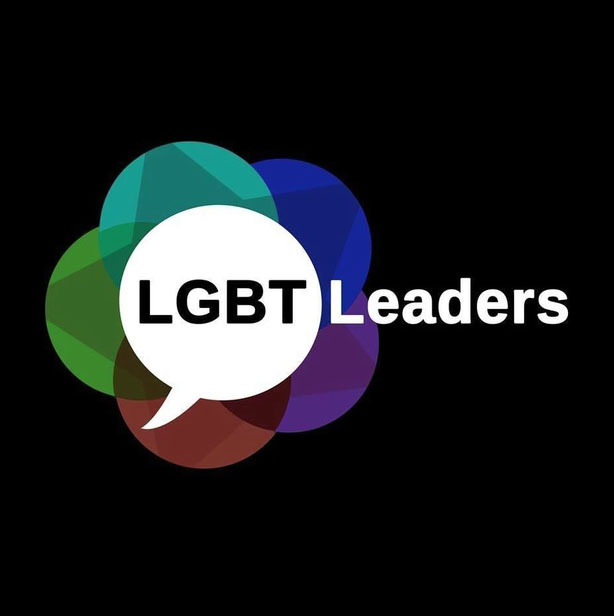 The National LGBTQ Task Force Action Fund works to secure full freedom, justice & equality for lesbian, gay, bisexual, transgender & queer (LGBTQ) people. For over forty years, they have been at the forefront of the social justice movement by training thousands of organizers & advocating for change at the federal, state & local level. Democratic House of Representatives lawmakers have entered the second day of their sit-in to demand a vote on overdue gun control legislation. I woke up to House Minority Leader Nancy Pelosi this morning on CSPAN & I can’t stop watching it. Speaker Paul Ryan formally adjourned the body until July 5th yesterday & the sit-in began. They’re streaming from their computers & displaying the hashtag #NOBILLNOBREAK. 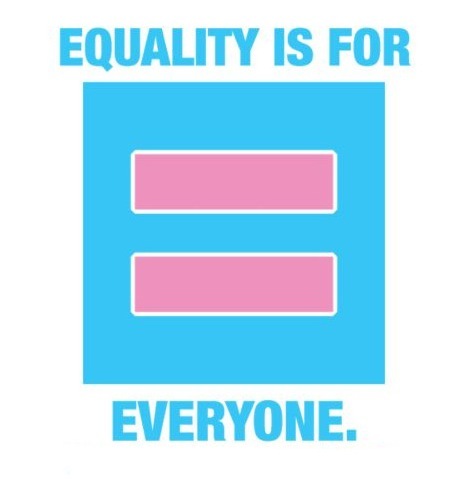 We contacted U.S. Rep. Mark Pocan (WI-02), Co-Chair of the LGBT Equality Caucus to get his spin & statement to share with our LGBT community & fierce allies. Pocan stated, “Democrats are united in the steadfast belief that we must pass common sense measures to prevent further gun violence in this country. 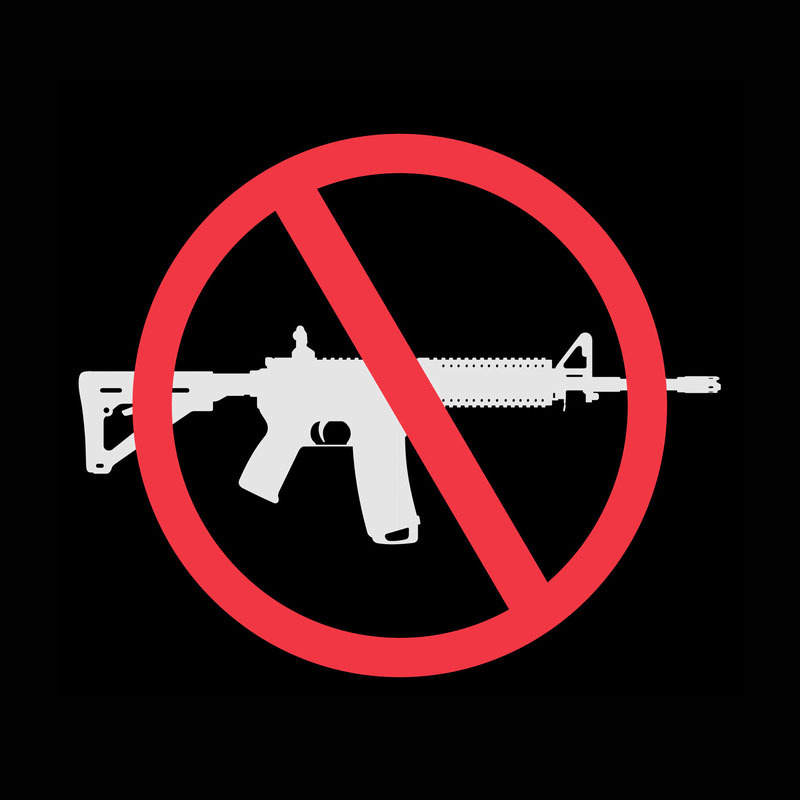 Since Speaker Paul Ryan & House Republicans will not stand up to the National Rifle Association (NRA) & the gun manufacturers, my Democratic colleagues & I have held the House Floor to demand action. Speaker Ryan may have turned off the Floor cameras in an attempt to silence us, but we will continue to stand up and give a voice to the majority of Americans who demand commonsense gun safety reforms. 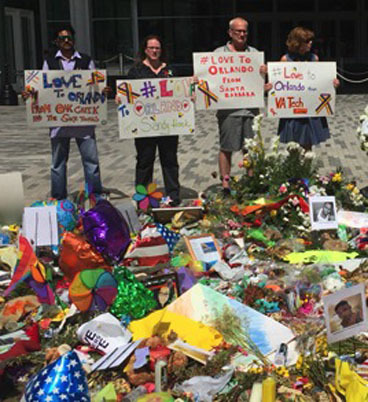 The mass shooting at a gay nightclub in Orlando took the lives of 49 innocent individuals. The gun violence epidemic affects our communities every day & it is past time for Congress to address this issue. Enough is enough. House Democrats will no longer settle for moments silence and are demanding real moments of action.” Contact your US Representatives & show your support. 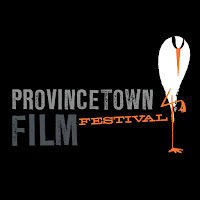 The Provincetown International Film Festival (PIFF) announced the award winners of this year's festival & Lisa Viola as its new Artistic Director. Viola will replace Connie White who has been with the festival since its inception.The award winners are: HBO Audience Award / Best Narrative Feature: THE INNOCENTS directed by Anne Fontaine HBO Audience Award / Best Documentary Feature (tie): THE MUSIC OF STRANGERS: YO-YO MA AND THE SILK ROAD ENSEMBLE, directed by Morgan Neville & POLITICAL ANIMALS directed by Jonah Markowitz & Tracy Wares HBO Short Documentary Award: TERRITORY, directed by Eleanor Mortimer. The John Schlesinger Award, presented to a first time feature filmmaker (narrative): BLOOD STRIPE, directed by Remy Auberjonois The John Schlesinger Award, presented to a first time feature filmmaker (documentary): OFF THE RAILS, directed by Adam Irving. Here Media Award - Best Queer Short Film: ONE LAST NIGHT, directed by Kerem Blumberg. Best Narrative Short Film: THUNDER ROAD, directed by Jim Cummings. Best Animated Short Film: GLOVE, directed by Alexa Haas & Bernardo Britto. Best New England Short Film: BLACK CANARIES, directed by Jesse Kreitzer. Best Student Short Film: THE MINK CATCHER, directed by Samantha Buck. Special Mention: ¡MAIS DURO!, directed by Camila Saldarriaga. The Short Film Jury consisted of Ian Samuels (filmmaker, MYRNA THE MONSTER), Lisanne Skyler (filmmaker, BRILLO BOX (3¢ OFF)) & Kim Yutani (Senior Programmer, Sundance Film Festival). As previously announced, Ang Lee was presented with the 2016 Filmmaker on the Edge Award in conversation with PIFF resident artist John Waters at Town Hall on Saturday night. Cynthia Nixon received the Excellence in Acting Award in conversation with film critic & professor B. Ruby Rich. The festival also announced the dates for next year's event as June 14th to 18th in 2017. 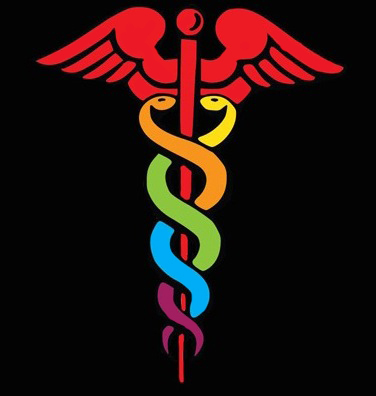 In the wake of the Orlando LGBT Massacre The Fenway Institute has released a policy brief that examines controversial “religious freedom” state legislation that seeks to restrict access to healthcare & other essential services by LGBT people. In the first half of 2016 nearly 200 anti LGBT bills have been filed in 32 states. Six states including Florida, Indiana, Arkansas, North Carolina, Tennessee & Mississippi have passed such “religious freedom” legislation & their governors have signed them into law. Some of the proposed legislation would also nullify local nondiscrimination ordinances based on sexual orientation & gender identity & denies transgender people access to restrooms according to their gender identity. Sean Cahill, Director of Health Policy Research at The Fenway Institute stated, “These bills take the concept of religious liberty, as protected by the 1993 Religious Freedom Restoration Act, & turn it on its head. True religious freedom laws protect individuals’ free exercise of religion & they harm no one. 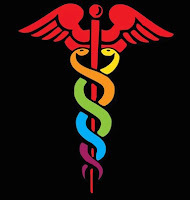 But these new anti-LGBT laws are designed so that corporations, small businesses, hospitals & healthcare providers can deny service or treatment to LGBT people as a group by claiming that providing such service or treatment would violate their religious beliefs or sincerely held principles.” President Obama stepped up to the plate in Florida during the Pulse Nightclub mass shooting to ensure that our LGBT community received the proper treatment. But on a daily basis our LGBT community is vulnerable in states that have passed legislation & those states that the legislation is pending. We at OUTTAKE VOICES stand with the following national leaders who call for commonsense change to make our communities safer from hate & gun violence in the wake of the deadliest shooting in American history at the Pulse Nightclub in Orlando, Florida. Congresswoman Gabrielle Giffords, Nihad Awad, National Executive Director, Council on American-Islamic Relations, Mark Barden, Managing Director, Sandy Hook Promise, Cornell Brooks, President & CEO, National Association for the Advancement of Colored People, Rea Carey, Executive Director, National LGBTQ Task Force, Kathy Ko Chin, President & Chief Executive Officer, Asian Pacific Islander American Health Forum, John Feinblatt, President, Everytown For Gun Safety, Kim A. Gandy, President & CEO, National Network to End Domestic Violence, Lily Eskelson Garcia, President, National Education Association, Ruth M. Glenn, Executive Director, National Coalition Against Domestic Violence, Chad Griffin, President, HRC, Dan Gross, President, Brady Campaign to Prevent Gun Violence, Mary Kay Henry, International President, Service Employees International Union, IIyse Hogue, President, NARAL Pro-Choice America, Mara Keisling, Executive Director, National Center for Transgender Equality, Kate Kendell, Executive Director, National Center for Lesbian Rights, Sharon J. Lettman-Hicks, Executive Director & CEO, National Black Justice Coalition, Aisha C. Moodie-Mills, President & CEO, Victory Fund & Institute, Janet Murguía, President & CEO, National Council of La Raza, Rabbi Jonah Dov Pesner, Director, Religious Action Center of Reform Judaism, Jennifer Pinckney, Clementa Pinckney Foundation, Katie Ray-Jones, CEO, National Domestic Violence Hotline, Dara Richardson-Heron, M.D., CEO, YWCA USA, Laura Ricketts, Chair of the Board, LPAC, Lee Saunders, Stephanie Schriock, President, EMILY's List, Neera Tanden, President & CEO, Center for American Progress, Robyn Thomas, Executive Director, Law Center to Prevent Gun Violence, Shannon Watts, Founder, Moms Demand Action for Gun Sense in America, Randi Weingarten, President, American Federation of Teachers & Brent Wilkes, National Executive Director, League of United Latin American Citizens. 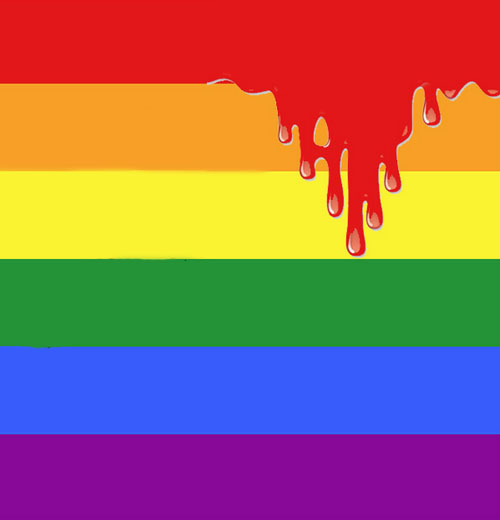 Our LGBT community is mourning the loss of at least 50 dead & more critically injured at Pulse Nightclub, Orlando Florida’s hottest gay bar. Nadine Smith CEO of Equality Florida stated, “We are reeling from the tragic news that a gunman opened fire on the 2A capacity crowd at Pulse leaving 50 people dead & over 53 injured according to preliminary reports. 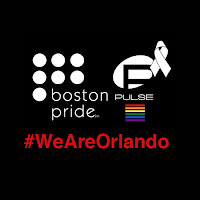 We are heartbroken & angry that senseless violence has once again destroyed lives in our state & in our country. Gay clubs hold a significant place in LGBTQ history. They were often the only safe gathering place & this horrific act strikes directly at our sense of safety. 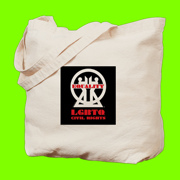 June commemorates our community standing up to anti-LGBTQ violence at the Stonewall Inn, the nightclub that has become the first LGBTQ site recognized as a national monument. We have received a steady stream of emails & messages from those seeking to help or to make sense of the senseless. 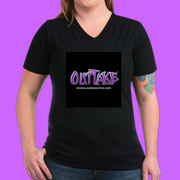 We make no assumptions on motive. We will await the details in tears of sadness & anger. 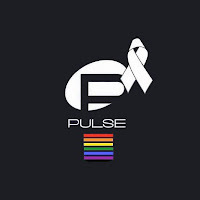 We stand in solidarity & keep our thoughts on all whose lives have been lost or altered forever in this tragedy.” Rea Carey, Executive Director, National LGBTQ Task Force added, "We are deeply shocked by this appalling act of violence against the LGBTQ community & our friends. Our thoughts are with the families & friends of those who have lost loved ones & with the injured. 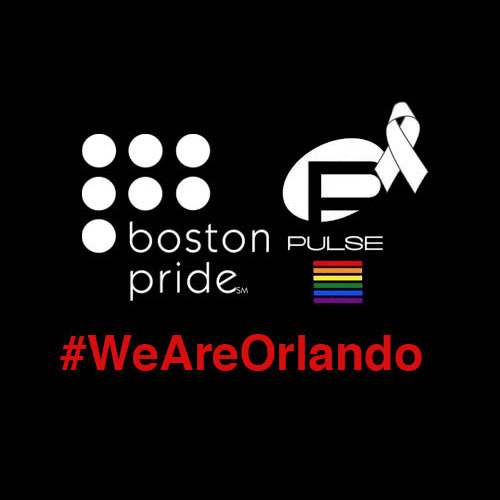 While the motive behind this crime remains unclear, our resolve to live openly & proudly remains undiminished. Now is a time for the whole nation to stand together against violence." First we attended the Boston Pride Pre Parade Press Conference at the Hard Rock Café next to the historic Faneuil Hall Marketplace for our briefing by Sylvain Bruni, President of Boston Pride & Martha Plaza, Parade Chair who stated that this year’s parade will be the largest in Boston Pride’s 46 year history. “Solidarity Through Pride” is the theme & 40% of the groups are marching for the first time with more floats, over 500,000 spectators & to top it all off the most massive rainbow-colored pride flag the city has ever seen. Plaza stated, “It’s nice to see the rise in the diversity of the types of companies that we’re able to accommodate. More & more organizations are using the parade to demonstrate their support & the diversity of their workforce & to show they stand beside their employees. A total of 258 groups will be taking part in this year’s march, with 28 floats & 80 vehicles among them, for the first time ever, a quite massive party bus from Budweiser” At the press conference we got a taste of the fabulous entertainment that will take place at the Boston Pride Festival at Boston’s City Hall Plaza following the parade & the best DJ in New England DJ Andrea spun a few tunes who will be spinning at parties all through the weekend. 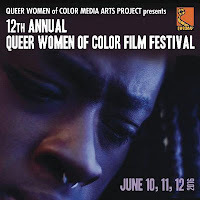 This weekend the Queer Woman of Color Media Arts Project presents the 12th annual Queer Woman of Color Film Festival that takes place June 10th through June 12th in San Francisco, California at the Brava Theatre. Opening Night Screening is “Magical Fantastical” on Friday June 10th at 7:30P. “Magical Fantastical” bestows the night with sparkling delight, from the sorcery of stereotypes that threaten a bisexual Chicana & the loving allure of femme friends to the rites of queer community through Cumbia. On Saturday June 11th there’s a important Filmmaker Roundtable entitled “Exponential Hustle” at 3P. Then the Featured Screening on Saturday is “Wages of Injustice” at 7P. “Wages of Injustice” reveals the sleight of hand it takes to live & love amidst poverty & income inequality. On Sunday the Centerpiece Screening is “Encuentros Con Amor” on June 12th at 2P. “Encuentros Con Amor” is a remarkable international program of queer & trans films from Latin America that includes QWOCMAP Films from Tijuana, Mexico. 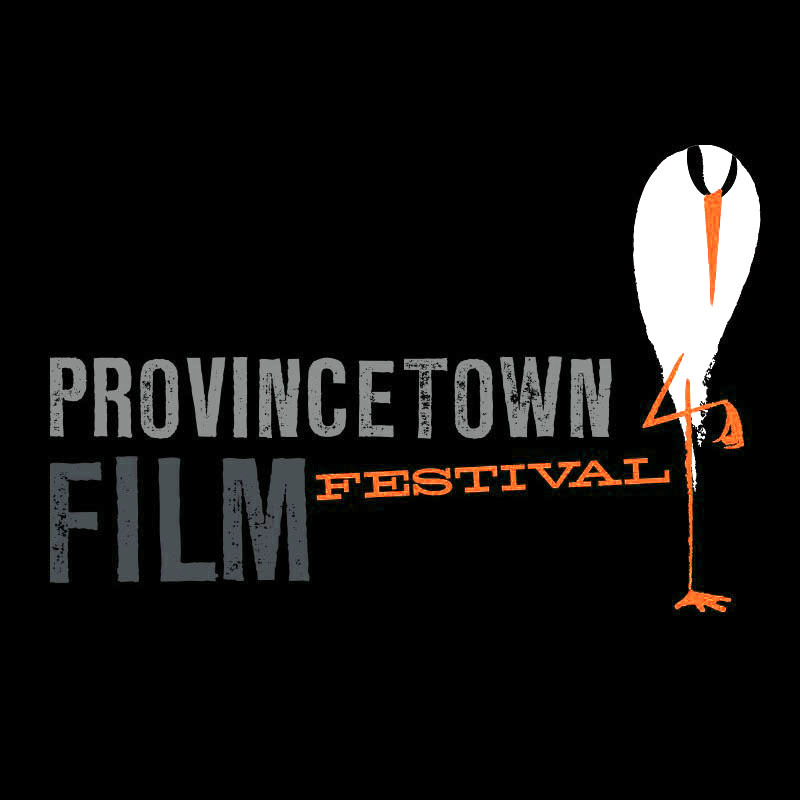 Then the Closing Night Screening is “Haven Bound” on Sunday June 12th at 6P. “Haven Bound,” summons the blessings of family from an Asian mother & daughter facing loss to safe havens for Black women, from the grace of Lebanese-Palestinian families to the adoption of all kinds of kids, these films invoke the blessing of wholeness. 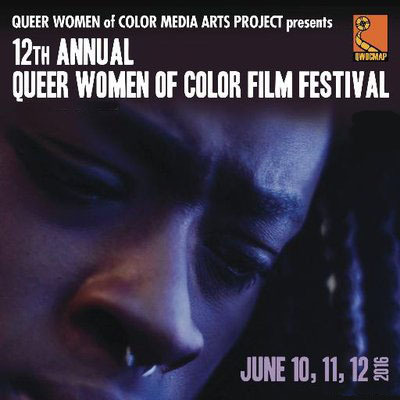 QWOCMAP creates, exhibits & distributes new films that authentically reflect the lives of queer women of color & addresses the vital social justice issues that concern multiple communities. 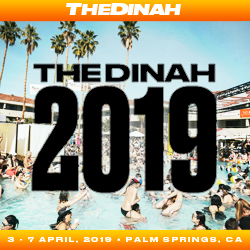 They actively bridge seemingly disparate populations to transform & empower our filmmakers, audiences & communities through art, activism & community building. 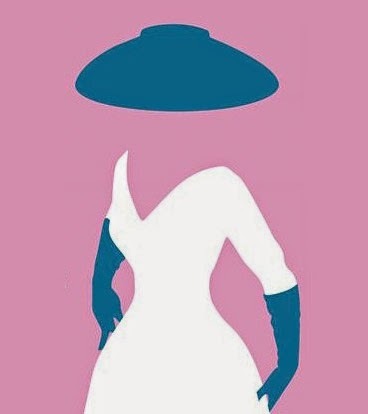 The 2016 Queer Women of Color Film Festival is absolutely FREE of charge. 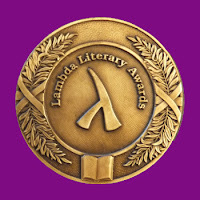 The winners of the 28th LGBT Annual Lambda Literary Awards (the "Lammys") were announced last night in a gala ceremony hosted by comedienne Kate Clinton at NYU Skirball Center for the Performing Arts. The Lambda ceremony brought together over 500 attendees, sponsors & celebrities to celebrate excellence in LGBT literature & 28 years of the groundbreaking literary awards. As master of ceremonies, Clinton once again took the stage, stating, "Welcome to the Skirball Center, our new home! Thank you careful & constant readers. It's like Words With Friends in real life. Reading takes me away." Broadway star & Style Rookie editor Tavi Gevinson introduced Hilton Als, New Yorker writer & author of the award winning, “White Girls”, who received the Trustee Award for Excellence in Literature. Native poet Natalie Diaz introduced the celebrated poet Eileen Myles, who received Lambda's Pioneer Award. Tony Valenzuela, Lambda Literary Executive Director stated, "Throughout tonight's ceremony we were reminded of the impact that LGBT literature has on people's lives. Congratulations to all the winners and honorees." Some of the presenters who graced the stage included Richard Blanco, Kate Bornstein, Natalie Diaz, Tim Federle, Tavi Gevinson, Silas Howard, Paul Rudnick, Ira Sachs, Rakesh Satyal & Pamela Sneed. The celebration continued at Le Poisson Rouge at the Official After-Party with celebrity DJs Sammy Jo & Tikka Masala, VJ Bleue Liverpool & an electrifying performance by Macy Rodman. Comcast once again is exploiting our LGBT Pride Month by featuring a special collection of films & TV shows available on Xfinity On Demand for sale or rent in their LGBT Pride Collection. 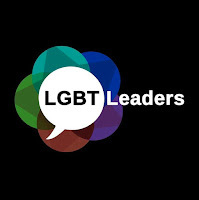 Jean-Claire Fitschen, Executive Director, Multicultural Consumer Services in Diversity stated, “Our company is committed to identifying & expanding opportunities for members of the LGBT community through recruitment, career development, supplier diversity & community investment. 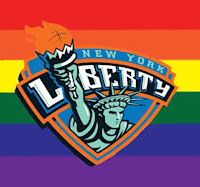 We also show our support through programming & in celebration of LGBT Pride Month, we have created a unique, curated On Demand experience that recognizes the impact & contribution of lesbian, gay, bisexual & transgender individuals.” This year some of the titles offered are Gayby Baby, Laverne Cox Presents: The T Word, MIND/GAME: The Unquiet Journey of Chamique Holdsclaw, Circumstance, Suited, Mala Mala, I’m So Excited & Four Moons. TV offerings include RuPaul’s Drag Race, Gay for Play, I Am Jazz, Big Freedia, EJ & the City, The Fosters & customers can also catch up on the full season of Gaycation. They’ve even throw in Here TV listings & the NetFlix series Grace & Frankie but all of these programs are offered at a price unless you have premium Comcast packages that include the network offerings. 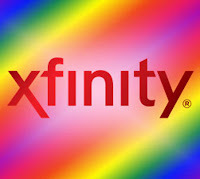 Comcast claims that “Diversity & Inclusion isn’t just an objective we strive to meet; it‘s critical to our success…” But don’t you agree that if Comcast really has a commitment to our LGBT community they would offer these programs for free to educate & advance global LGBTQ diversity. 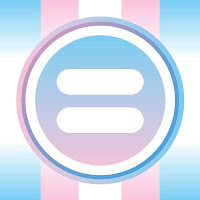 anti-discrimination protection for transgender people across Massachusetts & is a significant victory in the face of the disturbing trend of legislation targeting transgender people & undermining their basic civil rights being introduced in states & municipalities across the country. We extend our sincere thanks to Speaker of the House Robert DeLeo & bill co-sponsors Denise Provost & Byron Rushing for their strong support of the bill & their leadership on this important issue. 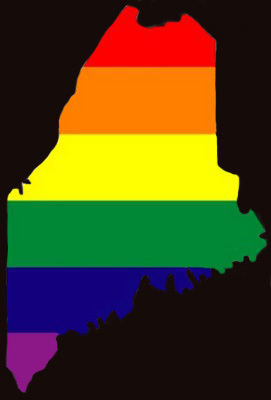 We also thank the 116 Representatives who voted today to extend the Commonwealth’s anti-discrimination law to cover transgender people & finally close the glaring gap in legal protection that was left open with the signing of the Transgender Equal Rights Law in 2012. With their vote, they have affirmed the principle that discrimination has no place in Massachusetts."